Microsoft's president of the Windows Division, Steve Sinofsky, has revealed a number of new accessibility features in Windows 8, explaining in a blog post that the new range of features will make Windows 8 better for everyone. Sinfosky points out that there are a number of key features that have been addressed in Windows 8 that should make it easier for people with disabilities to use. These include improving the assistive technologies within Windows and providing better developer tools that have accessibility built in. "Windows 8 is a product we design for an incredibly broad spectrum of people around the world," said Sinfosky in his blog post. "One of the areas where we have worked to deliver an even greater level of innovation is in ensuring that Windows 8, particularly the new Metro style experience, is accessible to everyone regardless of their physical abilities." Some key Windows features have been improved, with the blog explaining that the Narrator element has been updated with user feedback and new languages, as has speech recognition. Another key feature that has been improved is the screen magnifier. 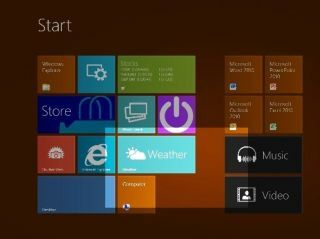 This has been given a touch makeover so users are able to control the feature completely from the edges of the screen they are viewing Windows 8 from. Head over to the Microsoft blog now for more information on how Windows 8 is shaping up in terms of accessibility – especially if you are a developer looking to get in on the action - and be sure to also check out our hands on Windows 8 review. And if that's not enough for you, you can watch our Windows 8 preview video below too.